Update 09/03/13 Photo of flyer posted. 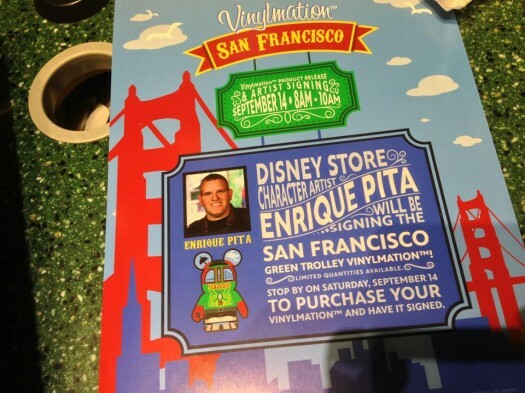 The Stockton St. Disney Store in San Francisco has announced an artist signing event with Enrique Pita on Saturday, September 14 from 8am – 10am. There are no pictures yet, but they are calling it the “Green Trolley Vinylmation” and specified that there will be “limited quantities available.” Here is a photo of the flyer that we found on Vinylmation Exchange. 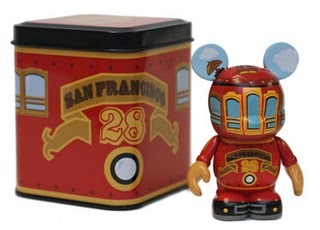 There was a previous SF Trolley designed by Dan Beltran that was red and produced on the original Mickey platform.